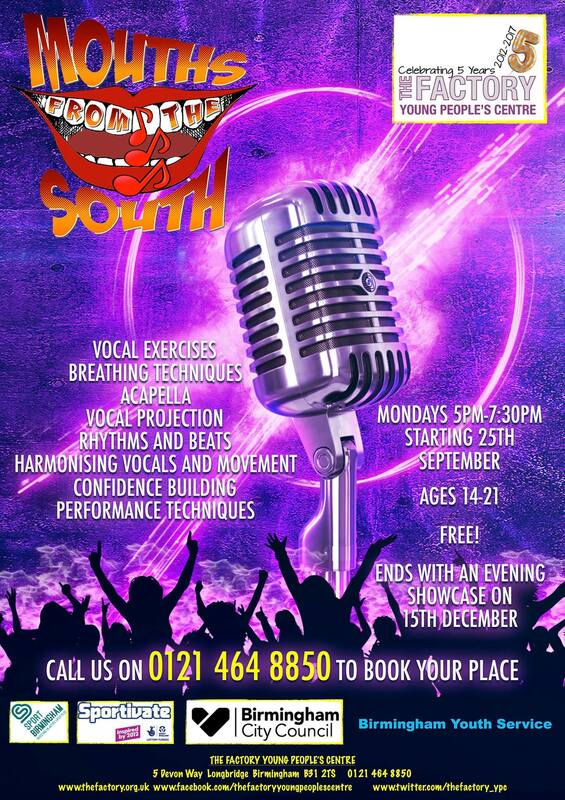 The amazing MOUTHS FROM THE SOUTH project returns to The Factory Young People's Centre on Monday 25 September. If you are a vocal artist or just love singing come along and see what we have to offer. There will be a Christmas Showcase in December allowing you the opportunity to perform.